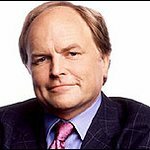 Join British TV presenter Clive Anderson at this year’s Save the Rhino Heroes Dinner in London next week. The event will take place at ZSL London Zoo, Regent’s Park, London. The Save the Rhino Heroes Dinner will take place on Wednesday 6th November 2013. On arrival at ZSL there will be a drinks reception, followed by a three-course dinner and silent auction. In between courses there will be a range of speakers to keep you entertained throughout the evening. Each speaker will be taking on this year’s theme of Heroes. Speakers will include injured serviceman and adventurer Jaco van Gass, actor and author Natascha McElhone, conservationist Fuzz Dyer, journalist and former cricketer Ed Smith and author William Fiennes. Save the Rhino International works to conserve viable populations of critically endangered rhinos in Africa and Asia. 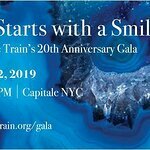 Update: Tickets have sold out, but it’s possible to bid for auction items in advance of the event.